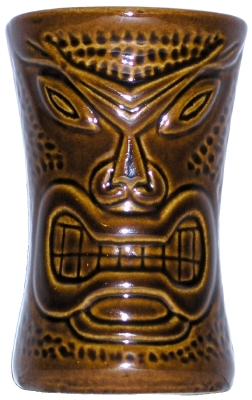 This glazed ceramic mug, by Daga, depicts a fearsome Tiki. 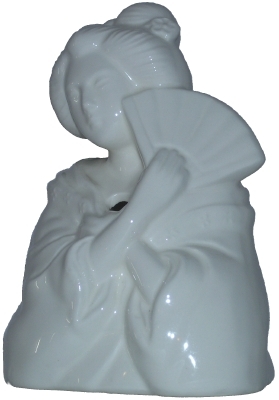 Inscribed on the bottom of this mug is “Daga ©” and “Hawaii”. In raised lettering on the back is “Maui Lu Luau Kihei Maui”. Found in the Daga Restaurant Ware, Mug, and Tiki Collections.